-Daily Freeman-Journal photos by Britt Kudla Water fills the roadways in Lehigh during recent flooding. Many residents were evacuated as the flood waters rose. Webster and Hamilton counties are among 56 Iowa counties included in a disaster declaration. 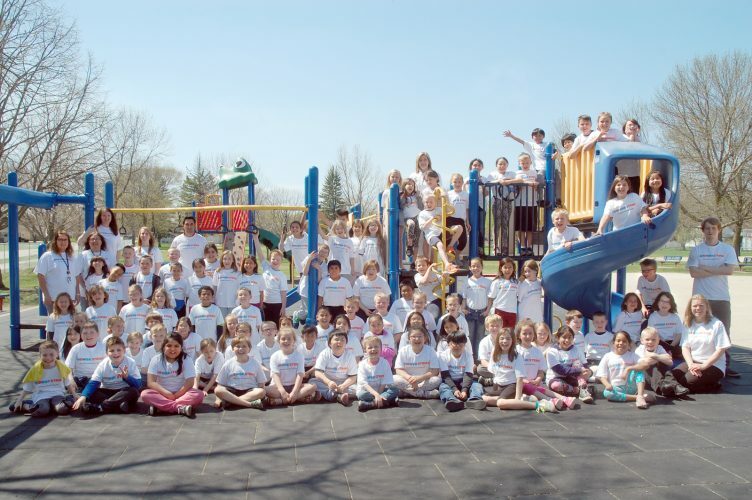 LEHIGH — Be it May or March, the little Webster County town of Lehigh that is settled in a low spot along the Des Moines River, looks forward to warm weather after a long winter freeze. After all, Lehigh is known for its annual River Days. But there’s the flip side to its partnership with the river, and that is the side Lehigh is experiencing now: the creep of flood water that seeps into basements and leaves roads and bridges unsafe for travel. That was the case Saturday. Water levels in flooded parts of Lehigh dropped a bit, but the threat of more flooding remained. 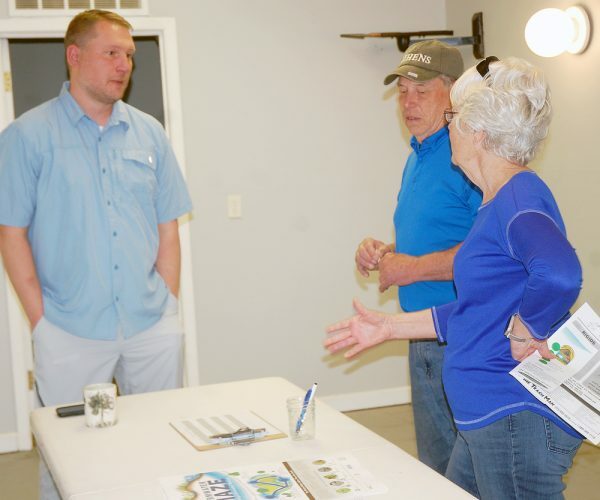 Flood waters dropped by one to two feet, according to Webster County Emergency Management Coordinator Dylan Hagen. Dian Nowell of Lehigh helps carry a bags of sand for homes that were affected by flooding on Saturday in Lehigh. But the threat of the water level going back up again remains, he said. 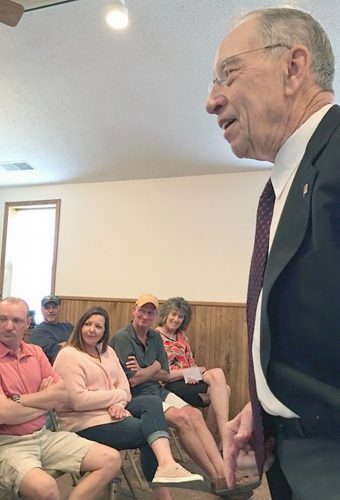 That’s because there’s still a lot of ice upstream on the Des Moines River by Humboldt, he said. When that ice breaks up, it could release a large volume of water downstream toward Lehigh. The speed at which that ice breaks up would impact the flood threat. If the ice breaks up all at once, the threat of flooding would likely be higher. But if the ice breaks up gradually, the threat would generally be reduced. 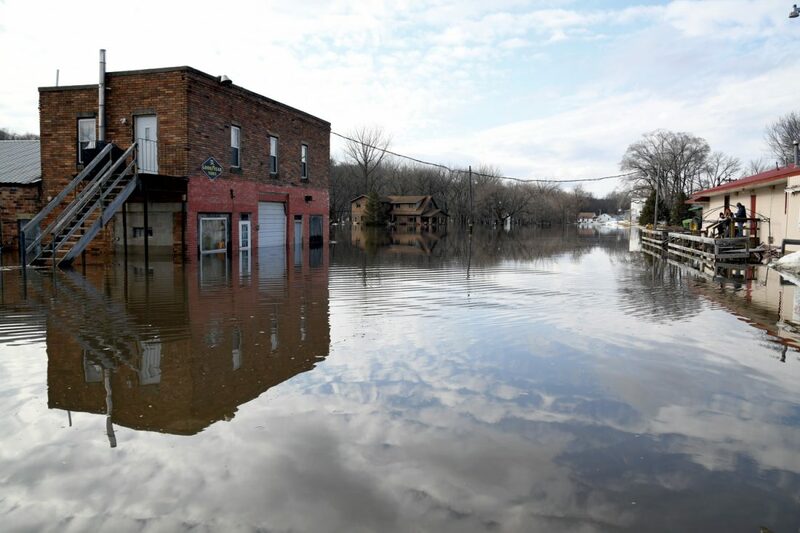 A number of houses near the Des Moines River in Lehigh were evacuated and many of those residents have not been able to return home. 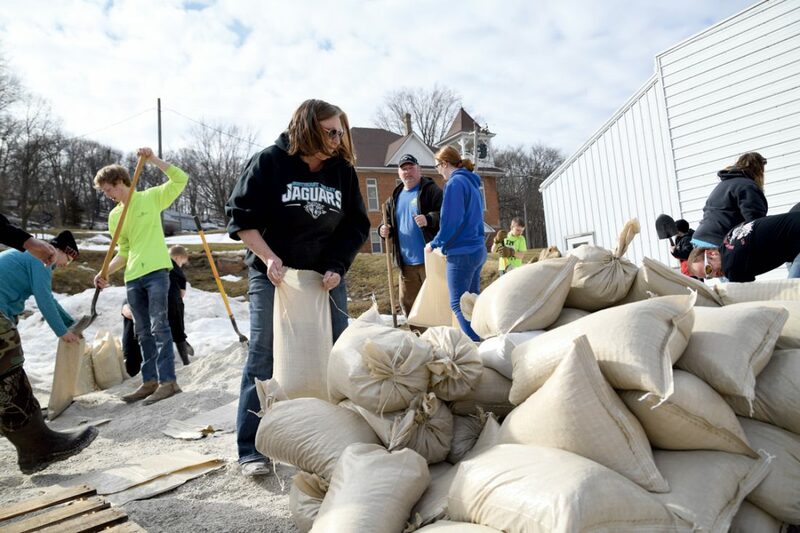 The state government delivered 1,000 sandbags to Lehigh. Hagen said those bags have been set up around the city’s municipal building and fire station. He added that several thousand empty bags that can be filled with sand or crushed rock have also been delivered. Webster County Road P73 south of Lehigh remains closed. The city still has all of its utilities functioning. Hagen said a few homes in Kalo had been evacuated also. But he said throughout the rest of Webster County, flooding remains limited to roads and yards. The main road in Dolliver Memorial State Park remains closed between the open shelter on the park’s north side and the playground. Most of the trails in Brushy Creek State Recreation Area remain closed, according to the state Department of Natural Resources.